If you or someone you know is struggling with addiction, it may be time to consider treatment. Whether you need residential or outpatient treatment, getting sober can help you reclaim your life from the grips of drugs and alcohol. Recovery is possible, and the right California rehabilitation center is out there for you. For people who are looking to start the process of recovery, California offers a variety of rehab programs that can help you (or your loved one) get sober. Many people see California as an attractive place to start their treatment journey for many reasons. The availability of treatment centers, luxury treatment programs and beautiful scenery all contribute to why people choose “The Golden State” for their recovery. California has hundreds of programs that range from free to luxurious, and they can all help you on your recovery journey from substance use disorder. The programs they offer will be categorized as inpatient or outpatient, but other services like community support groups and recovery coaching can help you maintain your recovery long-term. Residential (Inpatient) Rehab Centers. Residential treatment centers in California help clients detox from the effects of drugs and alcohol in a safe, medically-supervised environment. These centers offer 24/7 support and supervision, and are typically highly structured so clients have consistent support during the early days of their recovery. During a residential treatment program, clients will work with counselors, therapists, and case managers while attending daily group therapy to process faulty thinking patterns as it relates to substance use. They ultimately learn new coping skills and prepare themselves to reintegrate into their communities and homes. The average length of stay at a residential rehab center in California varies, though it is usually followed by aftercare programming or a recommendation to an outpatient treatment center. Outpatient Rehab Centers. Clients will attend an outpatient rehab center either after they are discharged from a residential program, or if they have steady employment and/or a healthy support system. Outpatient treatment can be beneficial to those reintegrating back into their communities or learning ways to balance staying sober with the demands of daily life. During an outpatient treatment program, clients participate in group therapy one to four times per week, and receive ongoing support through topics ranging from preventing relapse to developing new coping skills. According to a 2015 study conducted by the Substance Abuse and Mental Health Services Administration (SAMHSA), of the individuals in treatment on a single day in California, approximately 45.2% were seeking treatment for a drug problem only, 16.5% for an alcohol problem only, and 38.3% of treatment clients were seeking help for both alcohol and drug addiction. Now let’s take a deeper look at the different types of California rehabs. It’s common for many people to socialize during happy hour or spend time drinking with friends in a local bar or pub. While some people are able to manage their drinking in a socially-responsible manner, others may struggle with alcoholism or alcohol addiction. Choosing the right right treatment program depends on your personal struggle with alcohol and your treatment goals. During a treatment program, counselors will work with you to determine the underlying reasons for your drinking, while helping you identify your triggers and learn new coping strategies. Many treatment programs encourage their clients to begin developing a support network in their community or home life for continued success once they finish. There are many community-based resources available to help you recover from alcoholism, like Alcoholics Anonymous (AA). Substance use can start at an early age for a lot of people. Maybe you've wanted to quit, or have tried but haven't been able to. Drug addiction can be costly to your personal life. Whether you've experienced the loss of employment, close friends and family or even legal troubles related to your drug use, running into these problems is never the end of your story—but it can be the beginning of your recovery. California drug rehab centers help clients learn to live life sober. To help you be most successful, some programs will require detoxification or even an extended stay in treatment to help your body adjust to sobriety. Throughout this time, you'll work with a counselor and participate in group therapy and learn new ways of living— like new coping skills, thinking patterns and even developing new hobbies that support a sober lifestyle. Drug rehab centers use a variety of treatment approaches, like cognitive behavioral therapy (CBT), contingency management, motivational interviewing or even family therapy. Whether you need dual diagnosis, outpatient, residential treatment or a community-based support program, you should first contact a treatment provider or mental health practitioner for an evaluation. While a luxury experience is not necessary for a successful recovery, many people feel comfortable in a luxury facility. Luxury treatment centers in California are typically not covered by insurance providers, however they may be suitable for individuals who can pay a higher price for their treatment. While the amenities of a luxury treatment center offer an add-on to the traditional treatment experience, the core values of their programs follow the standard principles of recovery: helping clients detox from the effects of substances, process triggers and cravings, develop a relapse prevention plan, form new coping strategies and prepare for reintegration back into the home environment. Most luxury facilities are residential treatment programs, though many also offer outpatient treatment or aftercare programs for their clients who are stepping down or reintegrating back into their daily lives. The length and cost associated with a luxury treatment center varies based on the program. Just because there are many luxury rehab centers in California doesn't mean all rehab programs will break your bank. There are numerous affordable drug rehab options for individuals who can't afford a luxury program or need financial assistance. In California, you may have access to funding programs or public assistance through Medi-Cal or Medicare. Start by using the treatment locator through the Substance Abuse and Mental Health Services Administration (SAMHSA). Find a treatment center near you and ask about public funding options, and whether it offers payment plans or a scholarship program to help ease the financial burden of getting sober. Whether you've been diagnosed with a formal mental health condition, or are experiencing symptoms of anxiety or depression, mental health is an important component to any treatment program. When you're struggling with substance use disorder along with a mental health diagnosis, you might not know which to treat first. By attending a dual diagnosis treatment center, you can work on both of them by participating in a blend of recovery-based and mental health programs. Depression is one of the most common mental health diagnoses. If you are struggling with depression, many California rehab centers offer dual diagnosis treatment programs, also known as treatment for co-occurring disorders. Psychotherapy. Various forms of psychotherapy, like cognitive behavioral therapy (CBT), are known to help patients suffering from depression. Psychotherapy for depression and addiction can often go hand-in-hand in many dual diagnosis treatment programs. Medications. Antidepressants and mood stabilizers can be especially helpful for those with a depression diagnosis. And don't worry – these types of medications are not addictive and won't interfere with your treatment progress. Contact a treatment center near you and inquire about dual diagnosis treatment, or for a recommendation to a mental health practitioner that can help you manage your mental health condition. Ready to get sober? California rehab programs are diverse and offer a number of amenities, treatment styles and program philosophies. When you're ready to start your treatment journey, here's how you get started. Do your research. With so many treatment options throughout California to choose from, it's important to do your research and find out what treatment centers have the amenities, funding and programs you're looking for. Call for an assessment. The first step to getting started in any treatment program is a chemical use assessment or evaluation. This necessary step will help a treatment facility or counselor learn more about you and your goals for getting sober. Stay the course. It's not always easy starting the process of recovery, but it's worth it when you stick with it. California offers a variety of programs to help you recover from substance use disorder. Remember, Rome wasn't built in a day, and neither is recovery. Stick with it and you'll learn new skills to help you every day – just take it one day at a time. 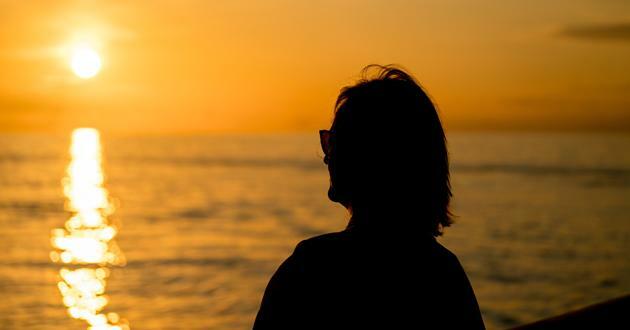 There are many options for both outpatient and inpatient treatment centers in California, no matter if you're struggling from alcoholism, drug addiction or both. Browse our directory of California treatment programs or call 800-772-8219 to inquire about your recovery options.